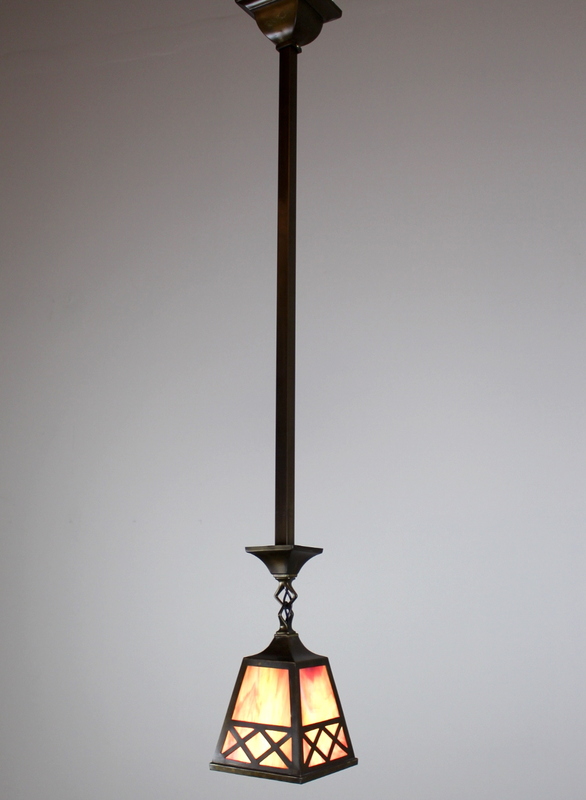 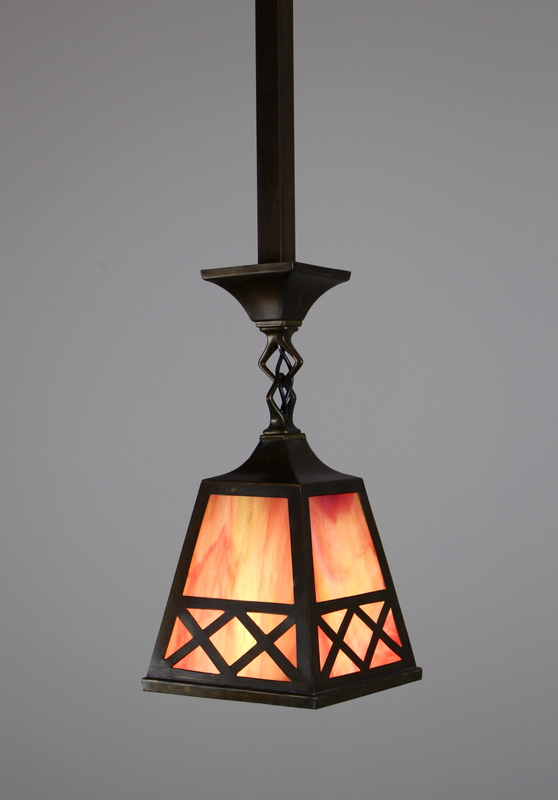 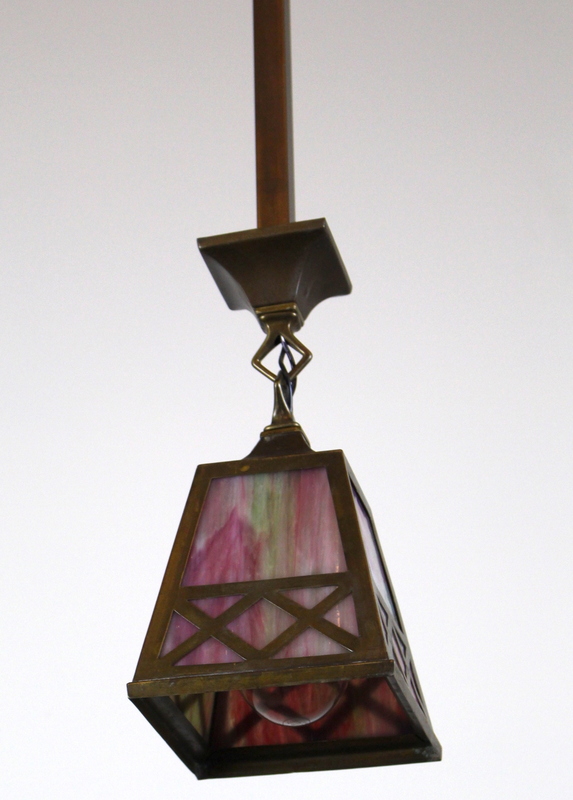 Arts & Crafts Style Pendant Fixture. 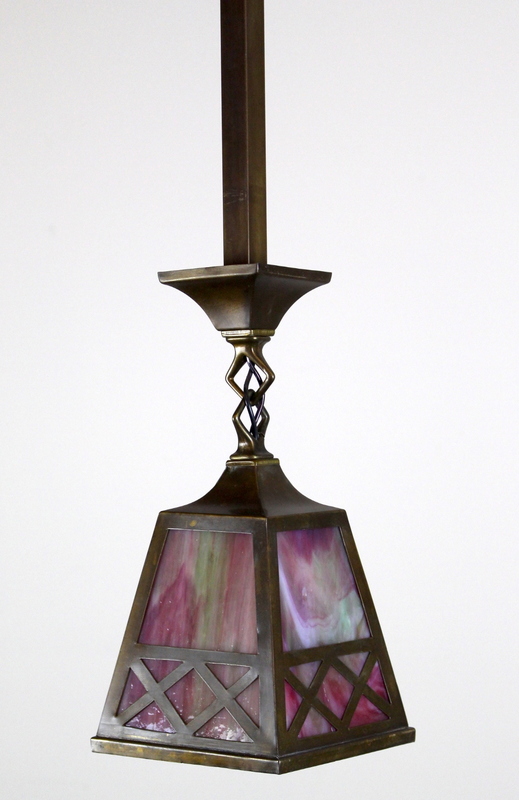 Original shades with unusual criss-cross design. 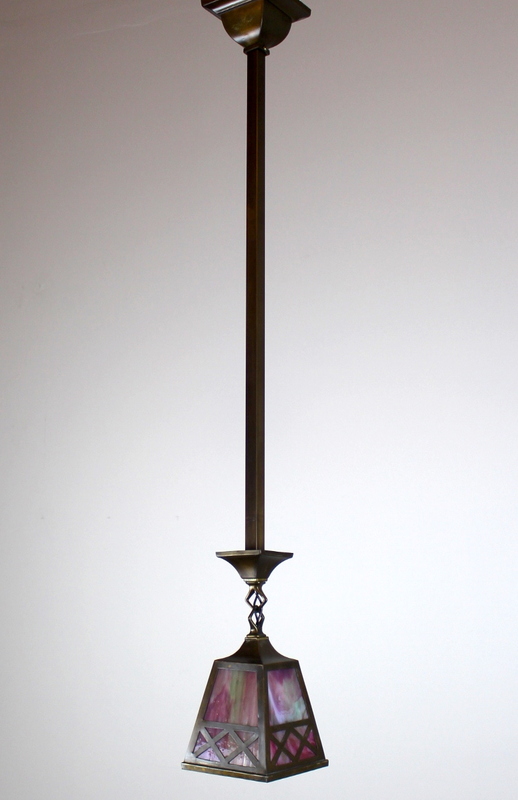 Finished in a chocolate bronze colour.